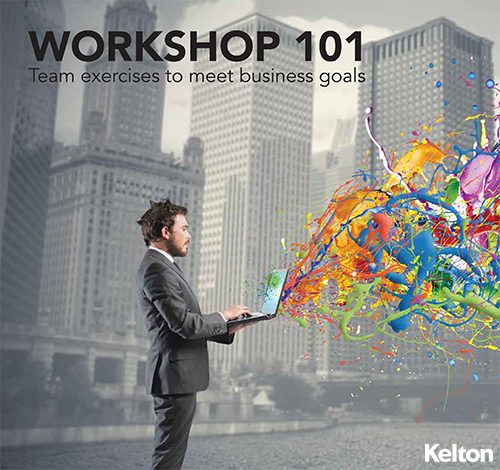 Check out a few exercises we like to build into our client projects here at Kelton to help you get a sense of the many business challenges they can solve. In the research world, workshops are collaborative sessions with a well-defined activity designed to help you reach a clear end goal. We’re sharing a few exercises that we like to build into our client projects here at Kelton to help you get a sense of the many business challenges they can solve. Try a few out on your team back at the office to get a feel for what it’s like as a participant, and reach out if you’re interested in learning about how they can be applied to specific objectives. Thanks for downloading. Click below to access your copy of our "Workshop 101" ebook. Enjoy!